A perfect stocking for the little sailor in your life. 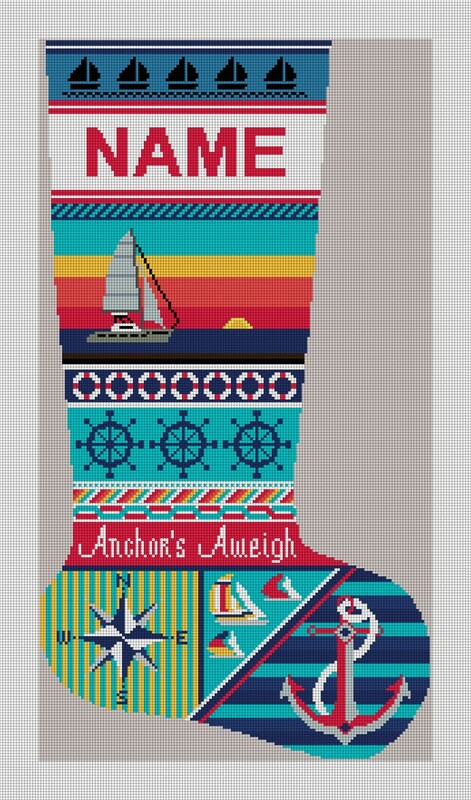 The anchors aweigh needlepoint christmas stocking kit is ripe for using lots of different types of stitches that will make this stocking a most treasured family heirloom. The name will be personalized to order and we can customize some of the boats if you would like! Just let us know in the notes on the right.